INGREDIENTS: MALTODEXTRIN (FROM CORN), POTATO STARCH, SALT, LEEKS*, CARROT*, TOMATO*, HYDROLYZED CORN GLUTEN, ONION*, CELERY ROOT*, WHITE CABBAGE*, POTASSIUM CHLORIDE, NATURAL FLAVOR, YEAST EXTRACT, PEAS*, CARAMEL COLOR, CITRIC ACID, TURMERIC, SPICE, DISODIUM INOSINATE AND DISODIUM GUANYLATE. • Combine 4 cups water with 1 packet of Vegetable Recipe Mix in a medium saucepan. • Reduce heat to low & simmer 10 minutes. • Combine all ingredients in a medium bowl. Cover and chill for 2 hours. 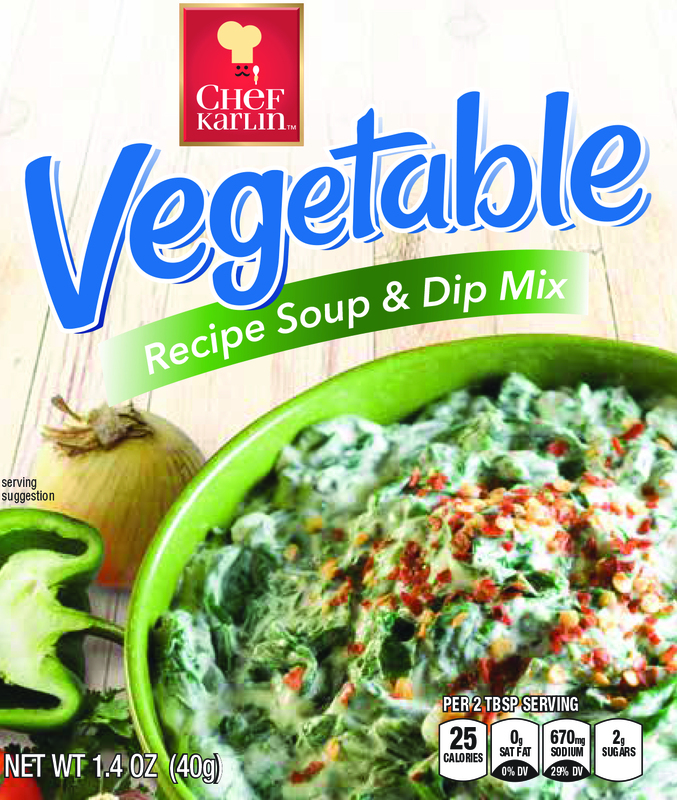 • Serve with your favorite dippers.